Welcome to the Year 5 Class Page. Here you will find out everything you need to know about our learning. Let’s start with our current topic web for this half term (up until Christmas). Just click the link to have a look. The home-school book is incredibly important for communication and, as such, we do ask that it is brought into school every day. In Year 5, they place them on their desk at the beginning of the day and open them to see if you have popped a note in for us. Anything from letting us know that your child struggled with a certain page in a book, to them (and you) being really proud of something they have done and you want to share. It’s such a lovely way for them to start their day and to have the continuity and support from both home and school. Their homework pages will be written in this book each week and we also encourage all parents to hear their child read (or at least check that they have read by asking a few questions about their book) every day. Each time you know they have read, simply write what page they are now on and sign the book on the correct day. These signatures will be collected and counted towards rewards which are currently being discussed so keep collecting and watch this space! Year 5 are quickly becoming very independent learners and we are addressing their personal maths requirements through these websites alongside our usual daily lessons and catch up sessions. My Maths – allows children to access lessons with matching homeworks. 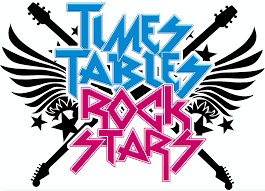 Times Table Rockstars. The children are loving this game that allows them to collect coins whilst learning their tables until they become the ultimate rock heroes! Children must learn various spelling rules, suffixes and prefixes throughout the year as well as consolidating their understanding of what has been taught through previous years. They are put into groups and tested each Friday. Each group’s spellings are sent home termly and you will know which week they must learn by looking in their home-school book.